"Here is a selection of the very best saunas around the country" sais Visit Finland in its Top Finnish Sauna Campaign. This is one of the Top Saunas in Finland - Check the available times for Your Sauna session now! Come and experience the Finnish slow life and folk healing culture at Kuppari-Hanna’s Parantola. Situated in the Finnish country-side Archipelago, a traditional log cabin with sculptures and folk-art create a timeless and warm atmosphere. 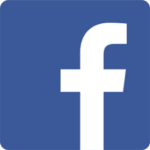 The Finnish word ‘parantola’ means a place where you heal. Help your body, mind and soul heal. Do it like we Finns do. Choose from a variety of treatments such as sauna, wet-cupping, massage and bone-setting. 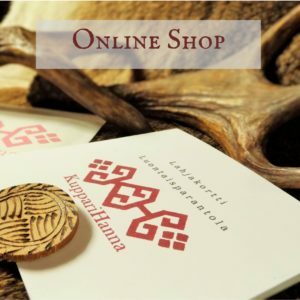 In Kuppari-Hanna’s Parantola modern medicine and traditional healing go hand-in-hand and all treatments meet the highest standards of hygiene. 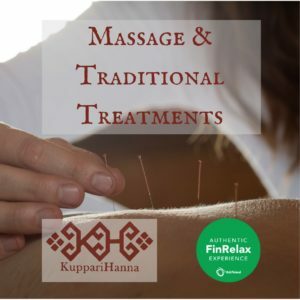 As a member of the Finnish Folk Medicine Society, Kuppari-Hanna’s treatments are available every year at Folk Healers’ Gathering in Kuusamo. 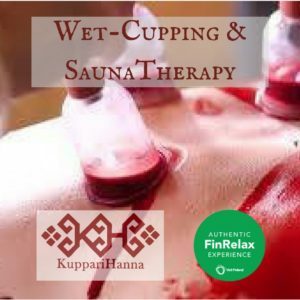 In January 2016 Kuppari-Hanna’s Natural Heath Spa was recognized as an authentic FinRelax experience by VisitFinland.